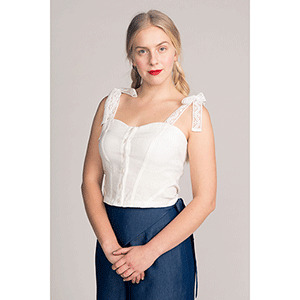 Cropped and semi-fitted top with an interesting corset-inspired cut with flat felled seams. 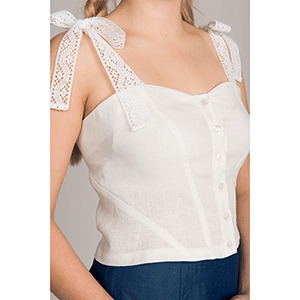 Wide tie-up shoulder straps, sweetheart neckline and button closure at front. 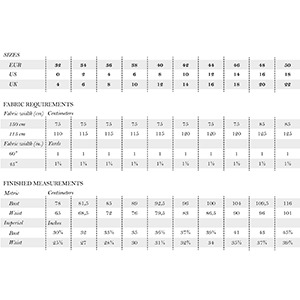 Suggested fabrics are specialty wovens, linen, and other light to medium weight non-stretch fabrics.